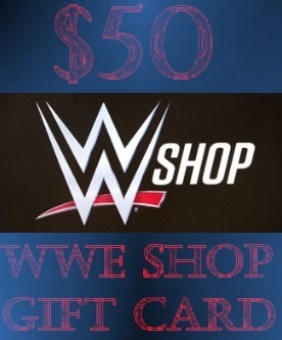 The Johnson Transcript is celebrating its return by giving away its biggest prize to date…a $50 WWE Shop Gift Card! To be eligible all you have to do is vote for The Crown J for 2014 and e-mail me at dcj2112@columbia.edu with a one sentence description of the wrestler you voted for and why. Readers can enter until November 7 at 4:00 p.m. Eastern Standard Time. What is The Crown J? Basically, an award for wrestling stars 25 and under who have yet to sign with WWE or TNA. For more information about The Crown J click here. After this contest ends another will begin. If you enter one contest by voting for The Crown J for 2014 then you are automatically entered in all other contests run by The Johnson Transcript in October/November 2015! Voting for The Crown J will be open until November 30 at 1:00 p.m. Votes are limited to one per individual. Contest entries are limited to one per voter. Entries must be made by 4:00 p.m. Eastern Standard Time on November 7, 2015 to be eligible for this contest. A drawing for the contest will be held at 5:00 p.m. Eastern Standard Time on November 7, 2015. The prize may not be redeemed for cash value or substituted for anything else. The contest is void wherever prohibited or restricted by law. The winner will be notified within 10 days of the contest drawing. If the winner does not respond within 10 days of being notified he or she will forfeit his or her prize. All entrants, as a condition of entry, agree to be bound by the rules outlined in this paragraph and the decisions of the sponsor (Daniel Johnson), which shall be final and binding.